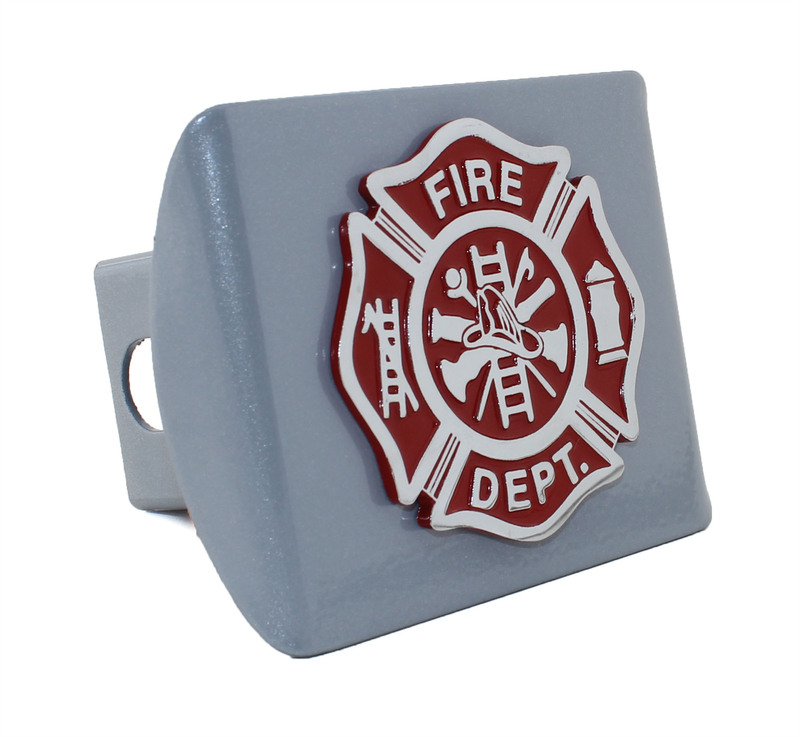 Powder coated metal hitch cover with metal logo. Fits most 2" x 2" receiver hitches. Shipping included.